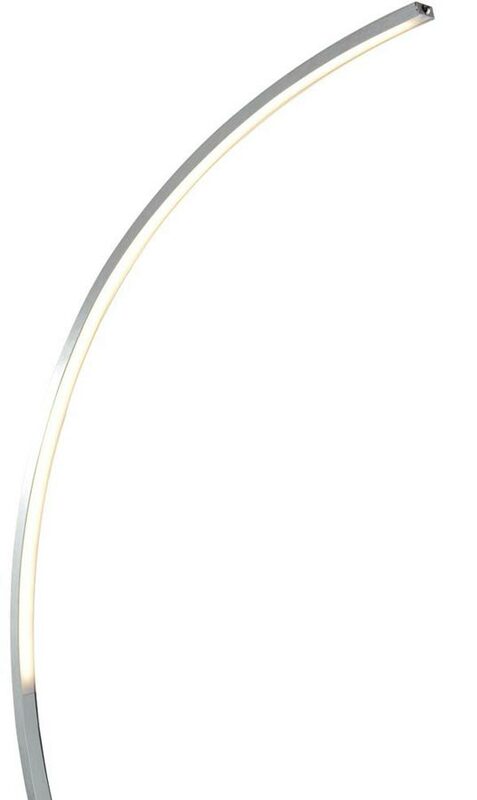 This Colton 24w LED contemporary curved floor lamp with dimmer in satin silver finish is stunning, energy efficient and very bright. Featuring a rectangular base and slender curved stem in satin chrome, with the top half inner face inlaid with 24w of warm white LED’s that provide 1600 lumens of directional light. It is fitted with a small push switch at the top of the head that also dims the light; push for on, to dim, brighten and push for off. Create a sleek addition to your living room using this arc floor lamp, with graceful style and dimming function. An understated and effortlessly chic addition to your home, with soft satin silver and warm white LED lights for a chic modern feel. 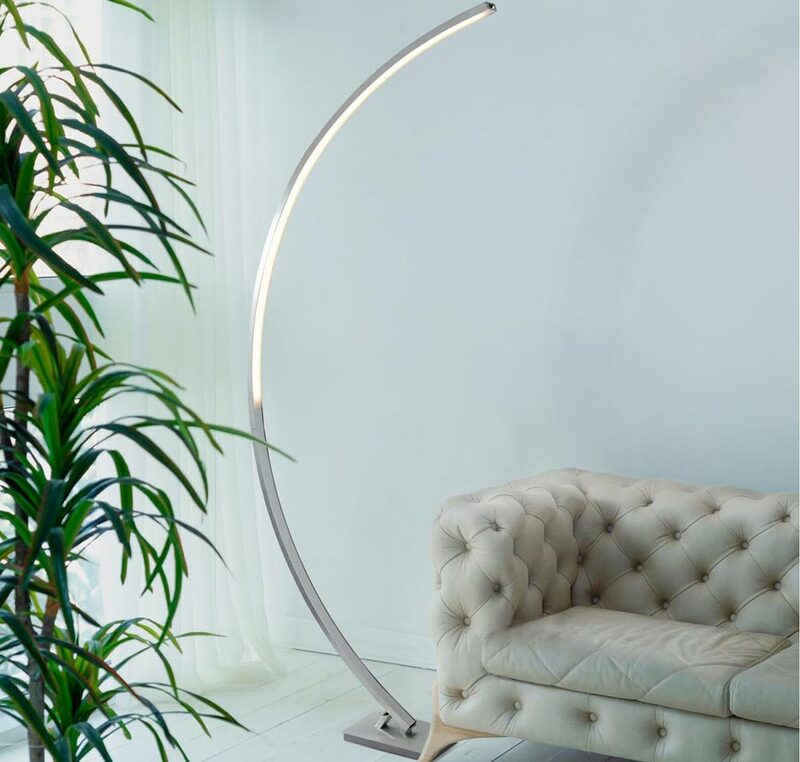 This floor light is supplied by Searchlight who manufacture some of the best traditional and modern classic designs such as the Colton 24w LED contemporary curved floor lamp with dimmer in satin silver finish you see here. It doesn’t matter whether you are looking for fixed or adjustable lighting, when it comes to floor standing lamps we’ve got everything you need right here. Finding the right floor lamp for your home just got easier.